Peter Hartley ended a week of controversy by scoring a last-gasp equaliser for Motherwell in a 3-3 draw with Rangers at Fir Park. The hosts were without a win, a point or even a goal from their opening two games of the season, but took a surprise lead when Conor Goldson's slip allowed Danny Johnson time to chip Allan McGregor from 20 yards inside three minutes. Their lead did not last long, and Lafferty scored his first goal in his second spell with the Gers when his half-volley from the edge of the box deflected in off Richard Tait (15). Carl McHugh replied instantly with a header from a Gael Bigirimana free-kick (18) but another from Lafferty (38) and a third from Ovie Ejaria (43) gave Rangers the lead at the break. 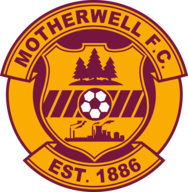 Motherwell: Carson (6), Tait (6), Hartley (7), Alred (6), McHugh (7), Cadden (6), Campbell (7), Bigirimana (8), Rose (6), Johnson (7), Main (6). Subs: Frear (7), Sammon (6), Bowman (n/a). 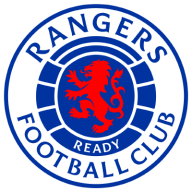 Rangers: McGregor (7), Tavernier (6), Katic (7), Goldson (6), Barisic (8), Flanagan (6), Jack (6), Halliday (6), Ejaria (7), Lafferty (8), Moleros (6). Subs: Arfield (6), Middleton (6), Wallace (n/a). Man of the match: Gael Bigirimana. Motherwell pushed for an equaliser but looked like they would regret missing a host of second-half chances until Hartley, who had been forced to apologise for comments made in the build-up to the game, volleyed in Bigirimana's corner in the fourth minute of stoppage time. The blink-and-you'll-miss-it start saw Johnson profit from a Goldson slip from a routine high ball over the top, and he showed good composure to spot McGregor off his line and lob him. Lafferty calmed any nerves on his return for Rangers by leveling within 15 minutes, as Borna Barasic delivered one of a number of excellent crosses from the left, and an unconvincing clearance only reached the forward, whose first-time strike beat Trevor Carson after ricocheting off Richard Tait. But Motherwell restored their lead almost immediately - Bigirimana floating a free-kick from deep on the right to the back post, where McHugh beat James Tavernier to nod back across goal and restore the lead. This was the first time Rangers had conceded twice in a game under Steven Gerrard, and their response took longer to appear second time around. When it did, Lafferty grabbed his second of the day as Tavernier made amends with a fine cross from the right, which was headed into the far corner when Lafferty beat Tom Aldred to the ball. And five minutes later Gerrard's side took the lead for the first time. From a Motherwell corner, Alfredo Morelos fed Barisic on the left, and he played a low pass into Ejaria's feet on the edge of the box. The Liverpool loanee's shot was palmed onto the post by Carson, but trickled back across the line. There was a solitary change from the hosts from their win at Livingston, with Allen Campbell replacing Alejandro Rodriguez Gorrin for Motherwell in midfield. Rangers handed Kyle Lafferty his first start since returning to the club last week, and also brought in Borna Barisic at left-back. After the break, Motherwell showed no signs of becoming dispirited and continued to attack, dominating possession as Rangers looked to put the game to bed on the break. Johnson inadvertently turned Tait's shot wide and Hartley nodded over the bar, but with time running out it looked like Gerrard would secure his first away league win as Rangers boss. But the Gers' soft underbelly has been exposed already this season, with Aberdeen denying them three points on the opening weekend in injury time, and Motherwell struck even later to level when Hartley seized on the visitors' increasing nervousness by volleying Bigirimana's corner in off McGregor with the last kick of the game. Motherwell's midfield maestro provided two assists and delivered consistently excellent set-pieces all afternoon, while getting stuck in against Rangers' talented engine room too. His free-kick to the back post for McHugh's goal was excellent, and Johnson could have added to his solitary strike had he turned in another wicked free-kick from the ex-Newcastle man. Motherwell travel to Dundee - who replaced them at the bottom of the Scottish Premiership - on Saturday at 3pm. Rangers have a trip to Russia to contend with, taking a 1-0 lead to FC Ufa on Thursday night in Europa League qualifying at 3pm. Pick your team for Newcastle v Chelsea to win the guaranteed £1k jackpot.